Believe it or not, I’ve done a few things other than shooting photos late into the night. 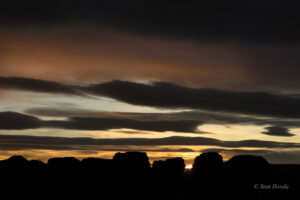 I gave my first official “Night Sky Photography” program today at 11:00 am in the visitor center. I did a slide show of the photos including about a dozen taken over the past two weeks. A good crowd of around 45 people came. It looks like this may be a spring break week, there are a lot more people than in the past weeks. 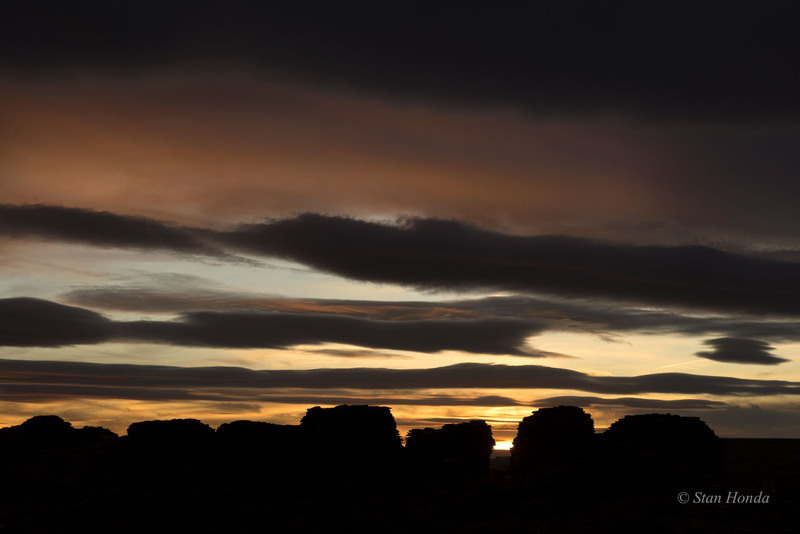 I’m also scheduled for a Night Sky Photography workshop on Sat., March 19 and a talk on Sun., March 20 for the sunrise equinox event here. There have been two staff gatherings that I’ve been invited to. We went to El Bruno’s restaurant in the small town of Cuba the second night I was here for a good bye dinner for the ranger Phil. This past Tuesday evening Adam, one of the law enforcement rangers, hosted a potluck and grilled steaks, chicken and elk at his place. I took chips and guacamole and two rabbits were eyeing me on the road as I walked to Adam’s apartment. 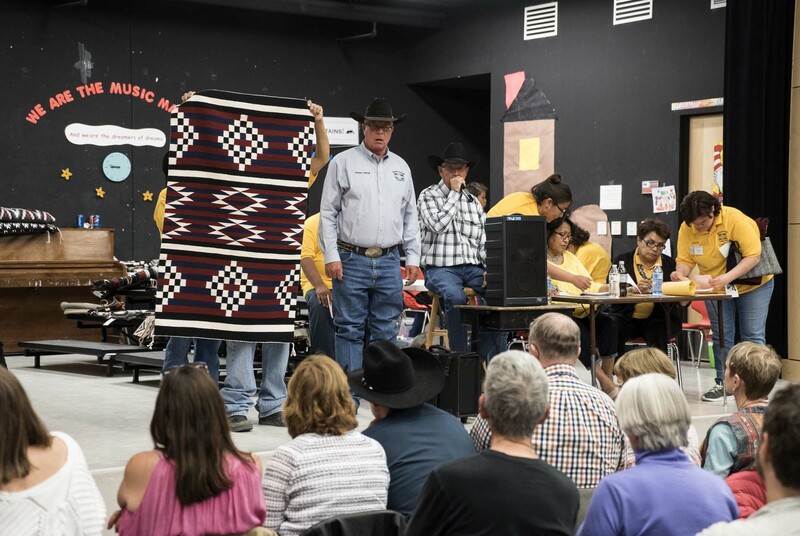 The off-park highlight was the Rug Auction of Crownpoint run by the Navajo Weavers Association of Crownpoint, a small town south of Chaco. The auctions are held on the second Friday of each month in the town elementary school gym. Jim, the chief of natural resources at Chaco suggested I go, so we drove down last Friday. Our evening started with Navajo tacos- basically taco filling on a flat “fry bread”, for $5.00 and a drink for $ .50. Half of the gym was filled with vender tables with various art and crafts. I found a nice ceramic box with a turtle etched inside for my younger sister. On big tables all the hand woven Navajo rugs were on display. Chairs were lined up facing a stage and we got a seat up front. A Navajo woman warmed the crowd up with various stories and jokes (she’s also a stand-up comic) in Navajo and English. Two tall cowboy looking fellows did the actual auctioning, they both had the wild quick cadence of auctioneers. Rugs were held up and bidders would hold up a card with a number, which we got before things got started. I bid on three small rugs, got one for Ann and one for my older sister. A pretty good night. Go to crownpointrugauction.com for more info. 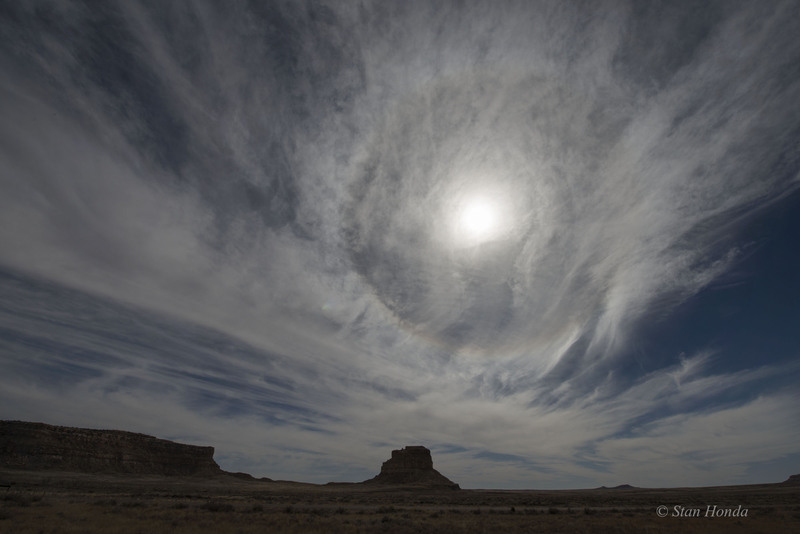 A sun halo and Fajada Butte, one of 3 I’ve seen during the day. 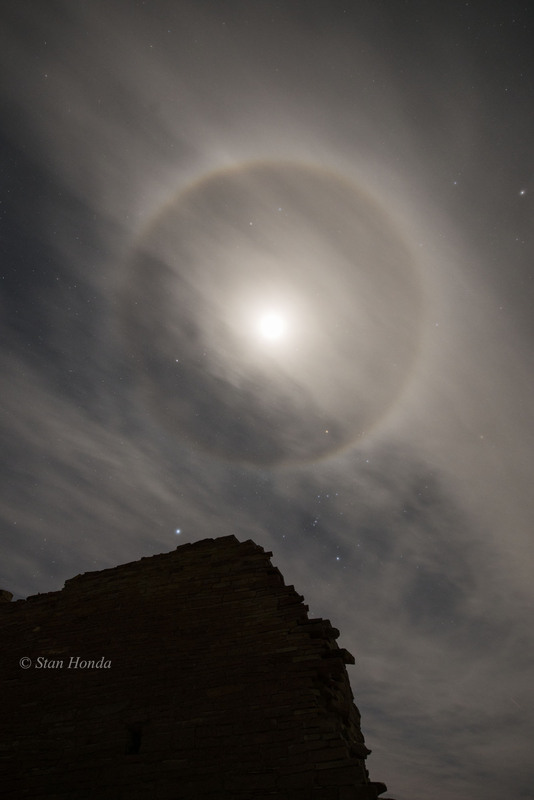 The moon, not to be outdone, with its halo and some striking clouds at Una Vida, the second one I’ve seen at night. Wanted to put at least one sunset in, this incredible one was at Peñasco Blanco.